Instruction is an art, and always a work in progress. Here we’ll talk about TIP’s rationale for best practices for gifted when it comes to instructional strategies. Here you can share ideas, solutions, and challenges. 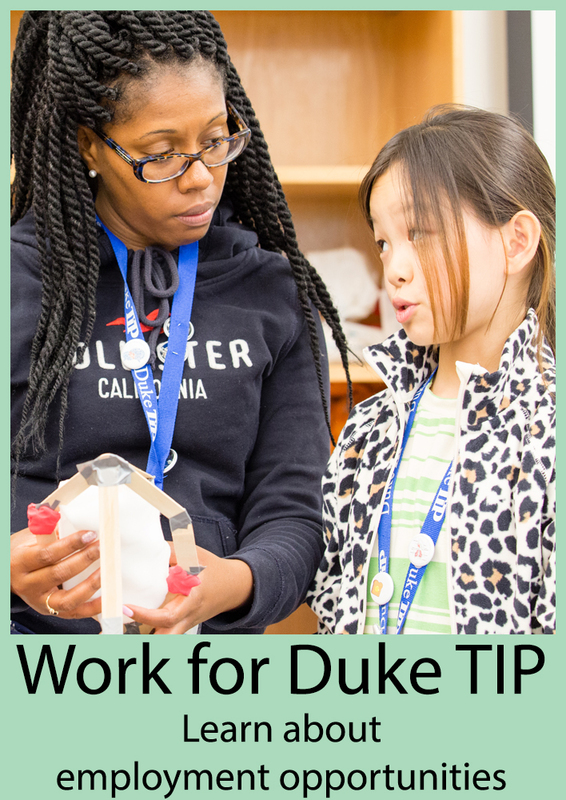 At Duke TIP we believe in three core purposes for instruction. Emphasizes the didactic instructional strategy – the acquisition of knowledge and information through lecture, texts, images, etc. Pursues the goal of acquiring additional knowledge derived from the content. Requires the teacher to be the active one engaged in the instructional process, while the learner is receptive. Emphasizes the instructional strategy of coaching. Pursues the goal of enhancing skills derived from the performance components. Requires teacher and student to be interactive in this instructional process, one-on-one as the behavior in executing the skill is modified and improved through successive attempts until success is attained. Emphasizes the instructional strategies of inquiry and Socratic or maieutic questioning strategies. Pursues acquisition of in-depth understanding that is derived from the interplay of the content with the critical thinking/creative thinking/research/problem-solving skills. Requires the teacher to be receptive while the student is actively engaged in the pursuit of the solution to the problem at hand. Not only promotes, but requires self-directed study on a self-selected topic. Requires development of professional-level standards or rubrics on which to base the evaluation of the product.